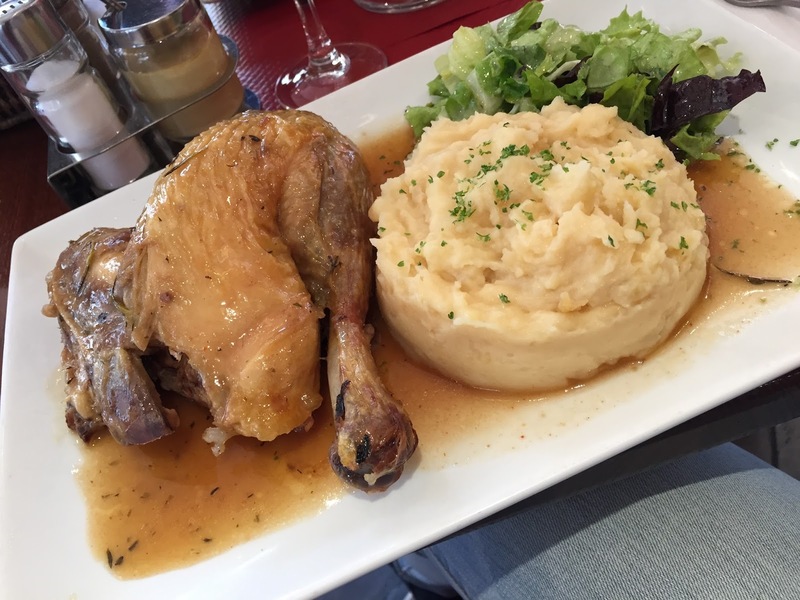 I wanted to share with you what I ate on this trip, since travel eating isn't the same as my usual diet. It's the time where everything is justifiable, at least in my head. 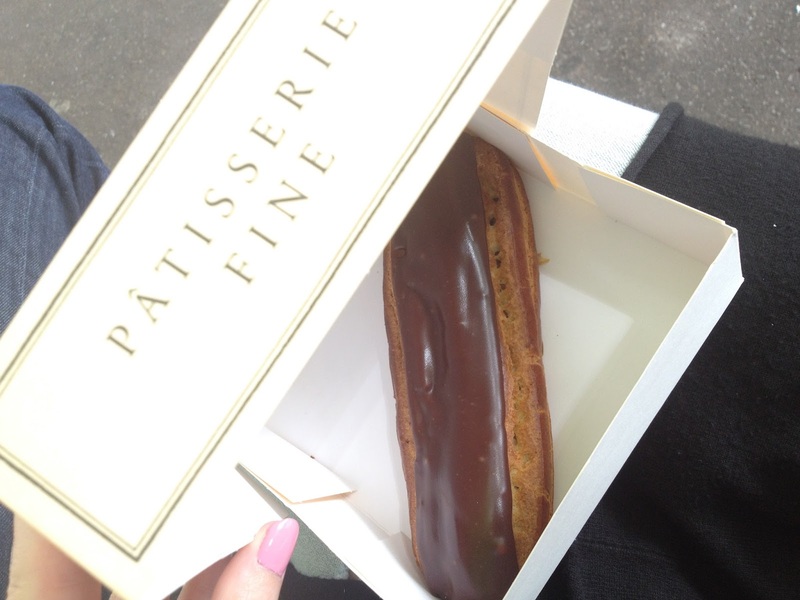 The first thing I ate after arriving, while still in the airport mind you, was a Pain au Chocolate. This was a matter that could not wait. I didn't photograph everything, however I ate a lot of croissants, pain au chocolate and baguettes. To be honest, I don't regret anything fatty and unhealthy that I devoured. Hope you enjoy this Foodie post and sorry if it made you crave french pastries or made you hungry, it made me crave them all over again. Salty crepes - definitely a must. Mine was with goat cheese and chorizo. 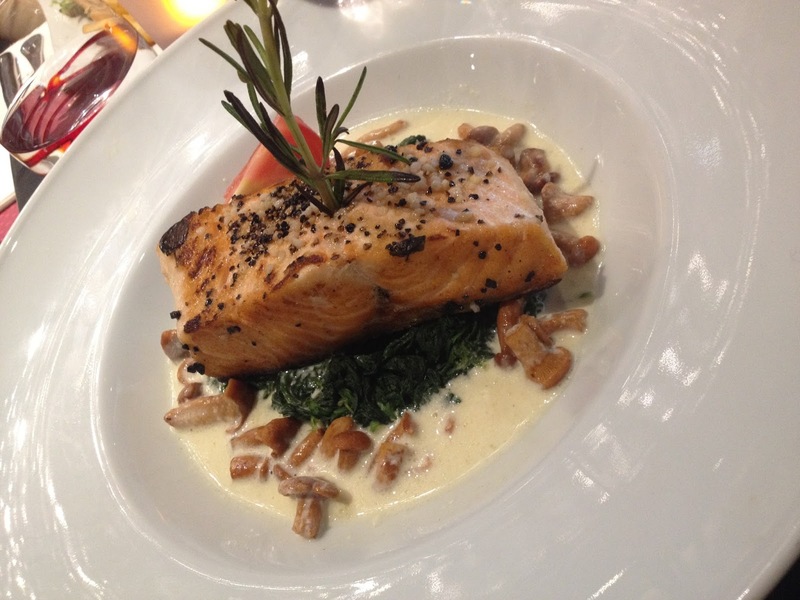 Mine : Salmon with spinach, mushrooms and a white sauce. His : beef tartare with french fries. Mine : passion fruit, pomegranate white tea and a green juice. Mine: roasted chicken with mashed potatoes and gravy. His: Burger with french fries. Wunsche dir auch einen wunderschönen Sonntag!